My Slavecestors Names: Chisum, Estes, Gillentine, Walling - who is nicka smith? Earlier this year I urged the genealogy community to come clean about their ancestors who were both slaveholders and ancestors. I call these folks slavecestors – those who both contributed to the dark stain on the United States called chattle slavery and who also bore children with their own property or the property of someone else. This post will begin my effort in airing the names of such folks in my own lineage. Cornelius James Taylor, born about 1874 in Mound Bayou, Bolivar, Mississippi, is my maternal great grandfather. He married Dilcy Barber of Sicily Island, Catahoula, Louisiana. The lion’s share of my European DNA comes from Cornelius. For those of us who have been steeped in African ancestored genealogy, the heading you just read is not an unfamiliar phrase. It’s something many of us have grown up hearing or have encountered when we begin asking relatives for information at the beginning of our genealogy pursuits. This phrase is synonymous with my maternal great grandfather, Cornelius James Taylor. Cousins kept telling me about this picture of him and how he was “white.” It was just two years ago I saw it for the first time. Note: In the African ancestored genealogy lexicon, my great grandfather being “white” could mean he: was bi-racial, had 3/4 or full European descent, or had the appearance of being fully European. Who are the people who made this possible? Cornelius’ parents, my 2x great grandparents, were Robert Taylor, born between 1850-1853 in Virginia and Amanda Jackson, born about 1850 in Mississippi. Both Robert and Amanda were marked as Mulatto on several records. 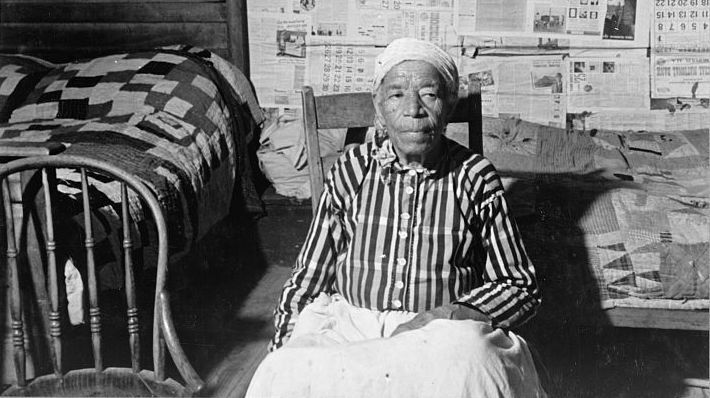 (See two examples below (1) (2)) They lived in Mound Bayou, Bolivar, Mississippi and Concordia Parish, Louisiana. Amanda’s mother, Maria Jackson (born about 1820 in Virginia), my 3x great grandmother, was marked Mulatto on the once census I found her on, 1880. (1) Both of Robert’s parents were born in Virgnia and Amanda’s father was born in North Carolina. To date, the number of DNA cousins that I have is upwards of 20 for each of these couples, and that’s only on one DNA service. I soon learned that the descendants of these three couples intermarried and created quite a web of endogamy, hence not only the high numbers of their descendants with whom I share DNA but the amount of DNA that I share with them is also exaggerated. Relations range from 4th cousins (sharing 3x great grandparents) to 8th cousins (sharing 7x great grandparents) with 60 centimorgans of DNA being shared with my highest matches. 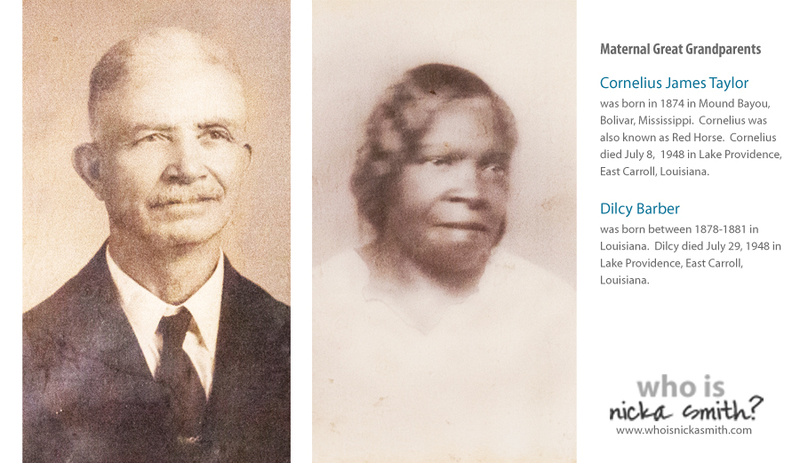 So, this could mean that these folks were my 3x, 4x, or beyond great grandparents. But, which one of their descendants birthed a child or children with someone who was enslaved? That’s the question of the millenium. LOL I’ve spent A LOT time verifying information on every tree I’ve seen posted for my matches and online and to this day I have yet to find a single one with a preponderance of evidence on it that seems legit. Anna becomes Elizabeth, John will have a wife and then not have one, Moses Estes will be married to Elizabeth, but she’ll have 50-11 surnames that aren’t substantiated. It’s a time in the land. I have been in contact with at least two groups of folks who are descendants of all these people and me and my mother are the only folks of African ancestry…unless there are others who are out there. Is there anyone out there who is also related to any of these families? (1) “United States Census, 1880,” database with images, FamilySearch(https://familysearch.org/ark:/61903/1:1:MD62-RP4 : accessed 26 November 2015), Mandy Taylor in household of Robt Taylor, 8th Ward, Concordia, Louisiana, United States; citing enumeration district 24, sheet 128A, NARA microfilm publication T9 (Washington D.C.: National Archives and Records Administration, n.d.), roll 0452; FHL microfilm 1,254,452. (2) “United States Census, 1910,” database with images, FamilySearch(https://familysearch.org/ark:/61903/1:1:MPTP-GPZ : accessed 26 November 2015), Robert Taylor, Police Jury Ward 8, Concordia, Louisiana, United States; citing enumeration district (ED) ED 36, sheet 5A, NARA microfilm publication T624 (Washington, D.C.: National Archives and Records Administration, n.d.); FHL microfilm 1,374,525. Thanks again for writing me Cheryl. I’ve spent some time looking at potential ways that my folks are wrapped into the Chisums and I’ve discovered an Isaac Taylor who was born 11 Dec 1781 in Botetourt County, Virginia, USA. He died on 02 Jun 1854 in Sparta, White County, Tennessee, USA. Isaac was a state senator with James Chisum and is mentioned in the Chisum and Robinson Family papers here: http://tsla.tlcdelivers.com:8080/?config=default#section=resource&resourceid=4363482&currentIndex=0&view=fullDetailsDetailsTab There’s a possibility that James, one of his descendants, or one of his relatives is actually the ancestor of mine while Isaac Taylor or one of his relatives was the actual slaveholder. So, I’d be working with two families. I’ll keep you posted on if I’m able to substantiate this. I can help with this. First, Abraham Estes’s wife’s surname was Barbara, but not Brock. I do realize many trees list this, but they are incorrect. Moses was Abraham’s son, and his wife’s name was Elizabeth, but we don’t know her surname. Moses’s son John, married Elizabeth Chism, the daughter of…you guessed it….John Chism and Elizabeth Gillentine. This connects two of those couples together in one line. I have written about these folks on my blog at http://www.dna-explained.com. John Combs Wife – While this article is not directly about the Estes, Chism and Gillentine families, it does document where they lived. Thanks so much for posting all this info Roberta! I’ve been following your blog for a while to try to make sense of all the stuff I’ve seen posted online and it’s helped A LOT. Pingback: His name is Thomas Jefferson Chisum – who is nicka smith? So far as I know, I am related to Abraham Estes; my great-grandmother was an Estes from Clay Co., MO. 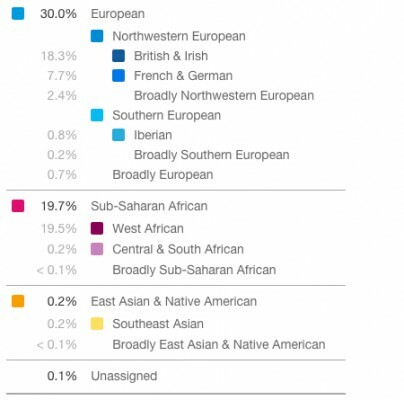 And yes, my DNA shows that I am a tiny bit African. It would be interesting to delve in further! My name is Bob Guild and I, too, am related to Abraham and Barbara Estes – they are my 7th Great Grandparents I just found this post and am most interested in the results. Abraham’s son, my sixth great grandfather, Elisha Estes, was a slave owner in Virginia and died in 1782. I have a copy of his Last Will & Testament – you may have a copy of this already, but if you don’t, I’d be happy to forward a copy. I’m just beginning this part of the journey, in search of my African American relatives. I would love to share any information I may have and at the same time find a possible connection between us.